Why do I require a Contamination Report ?  (Phase 1 Environmental Site Assessment, Phase 1 ESA or Phase 2 – Environmental Site Assessment, Phase 2 ESA) ? – We are often asked by clients “why do we require an assessment for contamination? (commonly called a Phase 1 ESA or Phase 1 Environmental Site Assessment). Why do I require a Phase 1 ESA for my bank ? What is a Phase 2 Environmental Site Assessment ?? What is the cost of a Phase 1 ESA ? These recent articles provide examples of the impacts of a group of chemicals PFOS and PFOA which in the last few years are drawing increasing concern in relation to human and ecological health. These articles outline the impacts which can occur from the use of chemicals which were used frequently in the past but were not at the time of use known to be a high risk. Now however, this group of chemicals is being compared to the DDT of this generation. In this case the chemical(s) are Perfluorooctane sulfonate (PFOS) and perfluorooctanoic acid (PFOA). These are members of a group of chemicals known as perfluorinated chemicals (PFCs). Both PFOS and PFOA are very persistent in the environment. They were used in firefighting foams by firefighters and military for many years and often result in contamination to groundwater and soil around the source of their use. This often includes areas such as airports and training facilities. There is a great deal of uncertainty about this large group of chemicals which have been used in everything from firefighting foam, non-stick pans (Teflon), water resistant coatings for clothing, shoe waterproofing, cosmetics, and food packaging (like microwave popcorn bags). They are often passed onto humans via the consumption of various foods including fish and also drinking water. High levels of PFAS have been linked to negative health effects in animals, including liver damage and stunted neurological development, according to Health Canada. There is little information about the human health risks associated with the chemicals however it is a known endocrine inhibitor. Where contaminated groundwater is present residents cannot drink their well water or eat home-grown vegetables or eggs from farmyard chickens. It is not a problem only to Canada and the USA. In Australia towns near military bases are struggling with supplying water in some areas as the groundwater is contaminated due to the use of firefighting foams. The use of these chemicals since the 1940’s and their bioaccumulation and stable chemical composition makes them a high risk to human health. The full impacts of such chemicals are yet to emerge as the research progresses and the available data is in its early stages with much research into the human and ecological impacts continuing. Groundwater testing should be undertaken regularly to test for contamination by a range of substances which can enter gradually through the soil. With long lived stable substances such as these migration to the groundwater table can take many years. As such well water should be tested regularly as contamination may enter the groundwater making a once clean water supply contaminated. As Environmental Consultants servicing Calgary, Edmonton and British Columbia we come across contamination situations quite often. As part of any land purchase (just like a home inspection) it is well worth obtaining the services of an experienced environmental consultant to undertake an assessment of the property to determine the potential risk of contamination by way of a Phase 1 Environmental Site Assessment report. If there is an identified risk of potential contamination then a Phase 2 Environmental Site Assessment should be undertaken to determine if there is contamination present, it type, extent and recommended remediation. These assessments are a critical part of Due Diligence with any property purchase particularly if it is a ranch/farm, disused piece of land or former industrial site or if the history of the site is uncertain. The impacts of purchasing a contaminated piece of land can include significant health impacts and significant financial losses through clean-up costs.